Daily Game Recommendation - Panda Bubble Shoot Pet is a game for the lovers of match 3 and bubble shooter games. If you love Match 3 games and equally love shooting games, then you will love to hear! 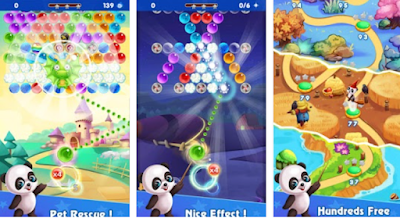 We have brought you an app Panda Bubble Shoot Pet that is absolutely for you to give you the most challenging, entertaining and strategic gameplay. What is Panda Bubble Shoot Pet? 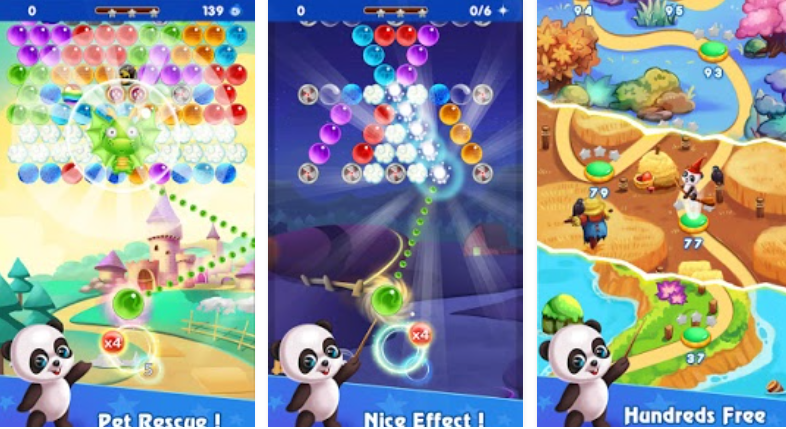 In Panda Bubble Shoot Pet, game you task is to shoot the obstacles in order to free the cute panda that are, trapped in colored balls by monsters. You will play to break those balls. Using real physics, aim your shooter at the bubbles of the same color. Pop them to clear the levels and occasionally rescue cute characters! The game brings you the brand new bubble popping fun with never ending fun and challenges. In the game, you will continue to play between 100 amazing levels. Show your popping skills and aim in the right direction, have fun matching bubbles and scoring higher. Download the Panda Bubble Shoot Pet game free from the Google Play Store and do not forget to share it with your friends and family.